1. Select a physician that has specific training in the field of Dermatology. 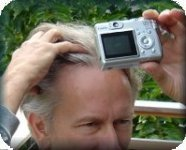 This training is imperative to understanding the causes and treatments to your hair loss problems. There are many causes such as alopecia, male pattern baldness and hormone imbalance. 2. Select a physician that performs hair transplants on a daily basis. View a surgical procedure and ask to see more than one. If the physician can not provide this to you then you may question the actual validity of his claims of experience. 3. Review the physician’s qualifications. If they are trained in internal medicine or have no training after medical school then they may not have the expertise to do a complex procedure such as a hair transplant. 4. Review the scope of his practice. If a doctor is performing many other procedures such as liposuction, facelifts, tummy tucks or other cosmetic procedures they may lack the expertise that comes from performing only hair transplants. You don’t want a “jack of all trades” but rather a “master of one”. 5. Select a hair transplant doctor who is a member of a legitimate society such as the AMA or AOA. Do not put stock in what you read on forums and other websites that require the doctor to be a member of them. These are privately run discussions and exist solely to promote their members and sponsors. These sites have no legitimate validity or authority and members are approved by a group of non-medical individuals. 6. Check your surgeon’s references. A qualified hair transplant doctor will have many happy patients that are willing to be contacted as a reference. These patients will be glad to share their experiences with you. 7. Understand the charges and fees. Be wary of a doctor that says “you get what you pay for”. Many times a higher fee means that the doctor actually has less patients (thereby less experience) and must charge more even when performing less grafts. The more grafts that can be done in a session will reduce your number of sittings required thereby saving you time, money and the inconvenience of additional hair transplants. When you find a doctor that meets all of these criteria you will be able to move forward with confidence. Hair transplantation is the only permanent, affordable way to regain the hair you have lost. Dr. Shapiro has helped over 10,000 people with hair transplants in the Hollywood, Miami and Boca Raton areas as well as patients from all over the world. This entry was posted in General, Hair Health, Hair Transplant on May 28, 2009 by Larry Shapiro.